I’ve enjoyed canoeing since I first set foot in my brother’s canoe at our family’s cottage on Georgian Bay in the 1960s. It is an ideal way to explore nature. 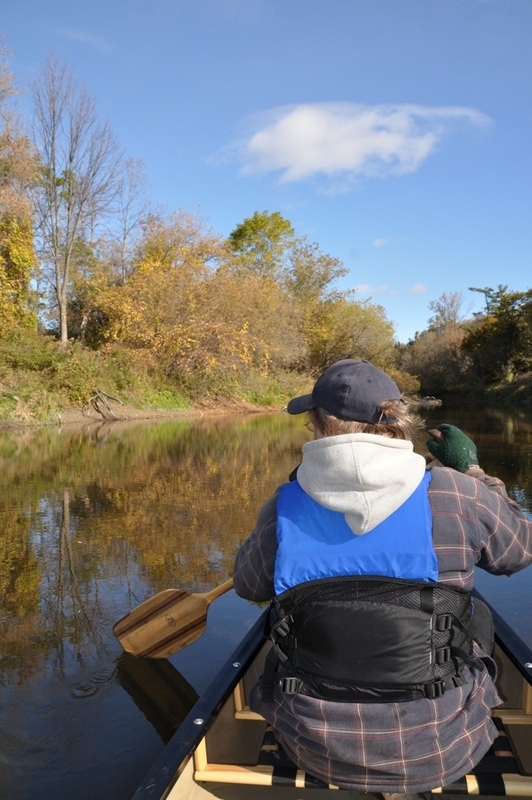 One item that can significantly improve a canoe trip is the paddle that you use. A paddle that is significantly too long (or short) or one that is particularly heavy will make paddling not as enjoyable as it could be. Recently I have had the opportunity of using Grey Owl Paddles on several occasions and I’ve been impressed with all of the well-constructed, beautiful paddles. 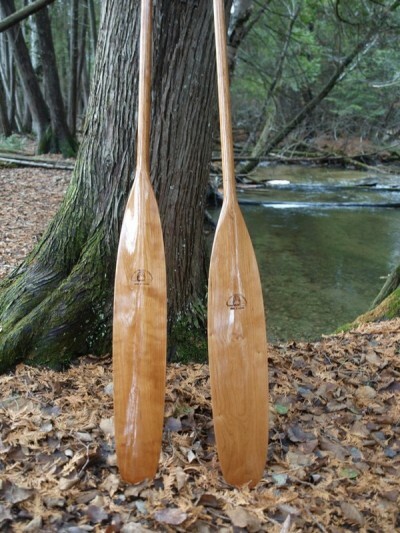 Located in Cambridge, Ontario the Grey Owl Paddle Company has been making a variety of exceptional paddles since 1976. My first experience using a Grey Owl Paddle was when my wife Lynn and I had the opportunity of canoeing the Rouge River in Rouge National Urban Park courtesy of Parks Canada. The paddle that I was given was a Hammerhead paddle and while I wouldn’t normally use a paddle with such a heavy blade, it was a good paddle for this shallow river. It was also a comfortable paddle to use. Another Grey Owl Paddle that I have used recently is their Northern Light paddle which I was given as a gift. This paddle is considerably lighter than it looks and features a “high gloss exterior polyurethane with UV block” finish. The paddle weighs only approximately 17 ounces! While I haven’t had my Northern Light paddle for very long, I was able to use it while paddling Cyprus Lake in Bruce Peninsula National Park in October. 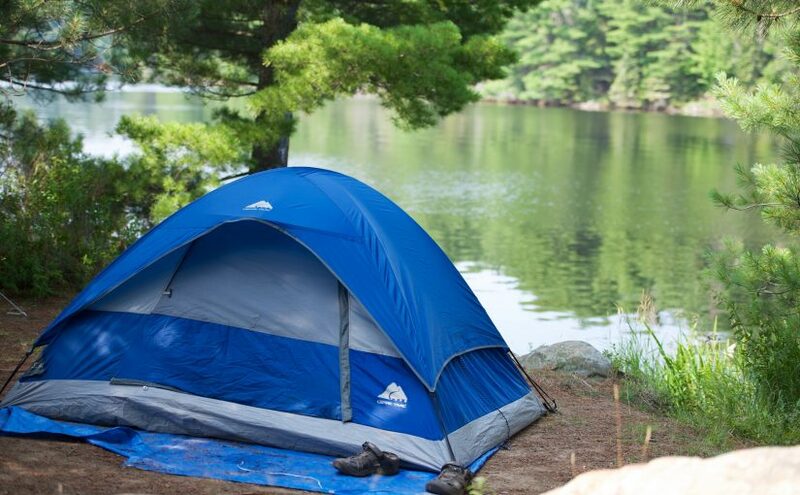 The light weight of the paddle made for a relaxing, leisurely paddle around the scenic lake. Two other paddles that I’ve been impressed with from Grey Owl Paddles are the Cherry Chieftain and the Cherry Sagamore. Although a little heavier than the Northern Light paddle, these beautiful cherry paddles are quite light and a joy to use. 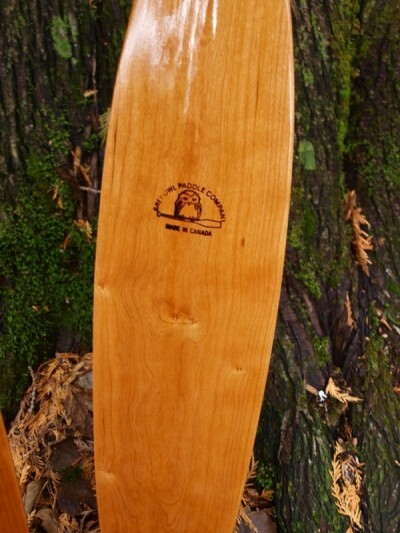 Both paddles are intended for “solo and tandem deep water paddling”. The Cherry Chieftain is solid cherry and features a comfortable “football style” grip. The Cherry Sagamore is also a solid cherry paddle that features a football style grip. This paddle has a longer and narrower blade compared to the Cherry Chieftain and it is similar in style to the ones used by the Voyageurs. Our paddles’ finish is a “high gloss exterior polyurethane with a UV block” but you can opt for a boiled linseed oil finish instead. Both of these paddles are a joy to use! For more information, visit Grey Owl Paddles website.